W123 - now we're talking! Great mix of class, style and practicality. Not sure I'd want to mess them up inside though, so looks like I'd need to have a trailer if I got one of those. I wouldn’t class the X-Type as “a bit on the slow side” if you get a 3litre like Badhuis. And it’s 4wheel drive. Yeah, fair point - must admit that I had been looking at 2-litres when I said that. After a few years of paying £170(?) road tax for the 320D, the cost of taxing a 3-litre was a bit offputting if I'm honest, though obviously the lack of depreciation would help to compensate for that. The 2 litre Diesel X type has very good mid range acceleration with its 245 lb-ft of torque and a top speed of 130 mph. The BX estate I had prior to that was also a good all rounder, a rare car today … can't remember when I last saw either a hatch or estate version. The X-type is excellent. Fast (0-60 around 7), great interior and extras. recommended! On the trailer there is the chassis of the Triumph Roadster I picked up a year ago. The PO bought it in the UK in 1965, drove it over to the Netherlands where after just one drive decided he would repaint the car. Disassembled it and it never got reassembled. 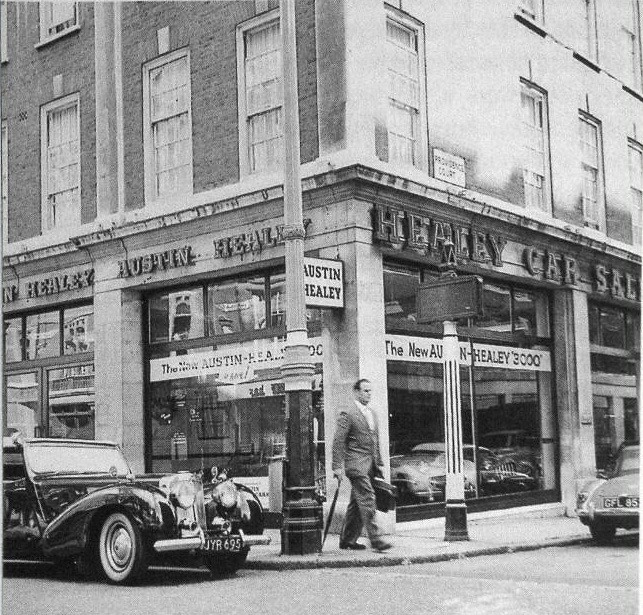 Here is the actual car pictured a few years previous in London. I'm with badhuis SubaruLegaacy/Outback estate or Forrester- not an early diesel as they break cranks but all others are pretty bombproof. You will be lucky to find one whose odometer doesnt look as if its been to the moon and back. Ive had 5 and clocked up well over half a million miles in them!